Is the Gold bubble bursting soon? You are here: Home / Gold Market / Is the Gold bubble bursting soon? Many are wondering if gold prices will continue to climb upwards or burst like a soap bubble. But one should consider how gold fared with the previous 2 bubbles – tech mania in 1990s and housing bubble in 2005/6. Tracking its trajectory, gold seems to be moving along the same direction like the tech mania and housing bubbles. In comparison, gold at this point in time is not at its peak. If you look at charts you will find that we are gathering momentum into the third and final phase. Some may want to move their money into the market now before we hit the third phase, as the third phase tends to create large gains, and then stay to the very end to reap when the burst begins. This choice, of course, is extremely risky even if you think you have it calculated. No one can predict when the bubble will burst. 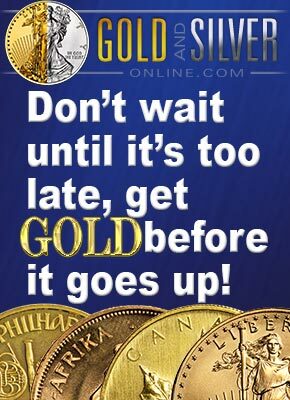 It is possible that buying gold coins still has some life left in it. This market, as the term implies, is all about future performance. It predicts that gold will continue to rise for the next couple of years. This would indicate that the market thinks that gold is currently still under performing and hence it should not be about to burst any time soon. The usual outlook of an industry that is about to burst its bubble is often bullish but this is not indicative of gold according to those at Wall Street; even if two-thirds of the industry is bullish, that is considered a very restrained outlook according to Wall Street standards. No one can guarantee that the gold bubble will burst or not but this seems to be the general trend today; a lot of bubbles waiting to burst, each taking its turn. For instance, the central banks of every nation seem to be pouring liquidity into the market which in turn devalues the various currencies. But not gold; it is the one and only unprintable ‘currency’ with many followers and supporters to claim victory when the time comes while mocking their skeptics. As you cannot define gold’s value in terms of the current standard of financial measures, it can be easy to be unrealistic about its value. But there will be plenty of ways to value it as economic strategists think that the current global conditions will set off one more gold boom, like the one experienced in 1970s. Again, confidence in the Greenback would drop and central banks will resort to hoarding gold again. As it is happening, central banks are currently the biggest purchasers of gold since 1988. It has been calculated that with the high gold price of today, the US government is holding very little gold to back the US monetary system – some estimate the government no longer has gold as it hasn’t been audited since the 1950′s. Now, that is worrying.